Gothic Knight — The concurrent development of Gothic Architecture and Gothic Art took place in the mid 12th-century. It continued to develop well into the 15th century. The artistic mediums mostly used in Gothic Art were sculpting, panel-painting, fresco, and illuminated manuscripts. 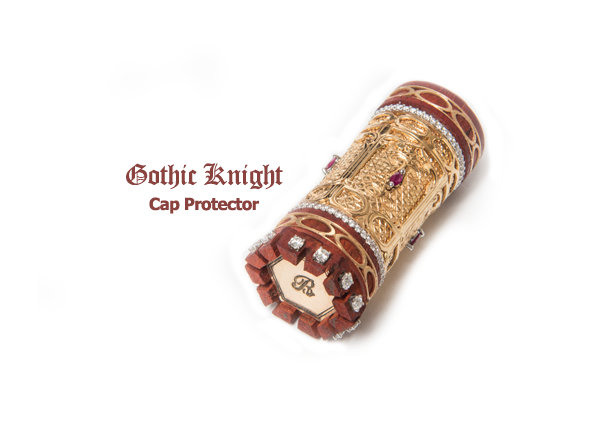 This custom cap protector was inspired by a limited addition fountain pen that sold for well over six figures. 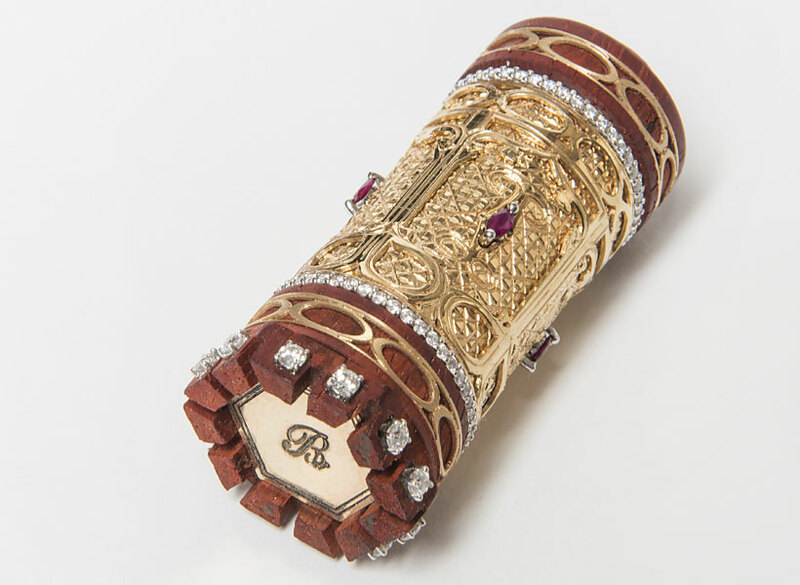 It is comprised of extensive three dimensional, heavily engraved, 18 karat yellow gold, diamonds, rubies and vermillion. I created the cap before I have completely designed the cue because I wanted the potential customer to have final say on its design. I have designed a few of the different inlays I would suggest but the fountain pen that inspired the cap did not inspire me to use the same inlays in the cue. I will not be starting the actual cue until 2018 and plan on entertaining bids for this one-of-a-kind work. The plan is to have three custom cap protectors and a wooden presentation case with precious metal inlays. It will be accompanied by a leather bound “build book” that will have photos of the progress of the cue’s building development. I also intend to build a silver rendition of the final design that will be the “artists proof”. That rendition may, or may not, be offered for sale at a later date.